Our Gilbert auto shop is client focused – of course every mechanic you visit will say something similar. 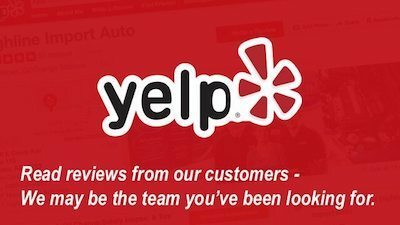 Aside from sharing our customer testimonials, we are fully transparent about our company policies, shop procedures, financial terms as well as all of the work we prescribe for your vehicle. Every repair comes with our 2 year 24,000 mile nationwide parts and labor warranty (other than transmission repairs, used parts, and any additional items that have been explicitly noted on the repair order). This warranty is backed by Pronto (see Pronto Protection Plus Warranty above). Vehicle MUST visit Highline at least 1 time per 12 month period for vehicle checkup. Vehicle must be serviced regularly and not abused, as per Highline maintenance guidelines and recommendations. This warranty is only valid at Highline. 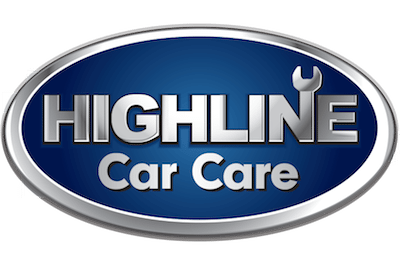 Highline will not pay for any other facility to perform the repair, regardless of vehicle location. Warranty repair amount must not exceed original repair amount. Fleet, heavy duty, custom, and performance vehicles do not apply. Warranty does not transfer with sale of vehicle. Subcontracted services such as alignments and tires do not apply. Another qualification for eligibility is that you have an itemized record of service done to your vehicle. At Highline, we do this for you. If you have any work done elsewhere, that’s okay, all we ask is that to receive warranty coverage for work we’ve performed, you provide us with that same record of service which would most likely come in the form of a work order receipt. Why? Because we need to know what impact other repairs may have had on our previous work. Items that have maintenance intervals or are designed to wear out are not covered by our lifetime warranty. Examples include, but are not limited to: Brake pads or shoes, fluids, spark plugs, drive belts, tires, filters, windshield wipers, timing belts, hoses, light bulbs. Used parts carry a 1 year parts only warranty unless explicitly noted otherwise on repair order. Transmission overhauls carry a 2 year parts and labor warranty ONLY valid at Highline unless explicitly noted otherwise on repair order. Remanufactured engines and transmissions carry a 2 year parts and labor warranty OR manufacturer’s warranty, whichever is greater. We are proud to partner with National Pronto Association and provide a nationwide parts and labor warranty covering 24 Months/24,000 Miles* on Highline Car Care repairs. Reimbursement is limited to covering the failed part (as listed on original ticket), labor, and tax associated with said part for a period of 24 months or 24,000 miles, *whichever comes first. Reimbursement is limited to covering up to the original dollar amount paid for the failed part, labor, and tax as listed on the original invoice or the lesser of. If the warranty repair is less than the original repair, the lesser amount of the two will be paid. At no time will reimbursement exceed the cost of the original repair. Incidental or Consequential damages are not covered. Consumer must complete the following steps prior to any warranty work being performed. All claims are subject to verification before any reimbursement may be made. Reference 25 Mile Rule: If a consumer is 25 miles or less from the original repair facility, the consumer is required to return to the original facility for warranty repair. If a consumer is 25 miles or more from the original Service Center, please download our process PDF by clicking the button below. For complete Warranty information visit ProntoCarCare.com. This limited warranty covers the following parts if installed by a participating Pronto Warranty Service Center. Electronic engine management system and other on-board computer systems. (Engine, body, brake, and suspension computers). Fleet or commercial vehicles, motor homes of any type, recreational vehicles, or high performance vehicles, and vehicles owned by a dealer are not eligible under this warranty. National Pronto has the right to cancel or modify the terms of this program without notice. For complete Roadside information, visit ProntoCareCare.com. When you come into an auto shop for a routine oil change you do not want to get presented with a bill for additional work that your vehicle needs. At Highline, you can be assured that we only do work on your vehicle that is necessary. If it’s something that you can hold off on we will let you know. If it’s something that needs to be taken care of immediately we do not hesitate to inform you. Your vehicle being in tip top shape when you leave our shop is our priority. We also understand that when we present you with some additional expenses you may not be prepared. For this reason, we have some financial options available for you. Whether you come in for an oil change, maintenance services or repairs we will take care of you. Synchrony Financial offers the Synchrony Car Care credit card that can be used every day for routine maintenance, tires & wheels, automotive accessories, and gas at over 25,000 gas stations and auto service centers nationwide including Exxon and Mobil, Chevron and Texaco. This including Highline Car Care. To apply for the Synchrony Car Care Credit Card and take advantage of the special financing offer click on the blue button below. *No interest on your auto maintenance and repair purchases if paid in full within 6 months on purchases of $199 or more. Minimum monthly payments are required. You must have an original repair performed at a participating Pronto Service Center (which Highline Car Care). This original repair becomes your “qualifying repair” under the terms of this program. You have register the qualifying repair within 30 days of the repair date online at www.ProntoCarCare.com. You will receive a one-time use certificate good towards a future Roadside event. The Roadside Assistance event must take place at least 24-hrs after the original qualifying repair date. National Pronto allows you to choose which roadside service provider you would like to use. Our Roadside Assistance Reimbursement is handled through National Pronto Association and we follow the rules and guidelines they have established. Reimbursement up to $90 can be used towards a tow, jump start, lock-out, flat tire assistance or fuel service effective 24-hrs after qualifying repair for one year. One reimbursement per registered car, per year. Only vehicle listed on original invoice and Roadside Assistance Certificates are eligible. Consumer is responsible for finding a roadside assistance provider. Roadside Service on the qualifying vehicle must be provided by a licensed Roadside Assistance Provider or licensed Service Center. All documents required for reimbursement must be mailed within 30-days of the Roadside Event per instructions on certificate. If I supply my own parts will you install them?